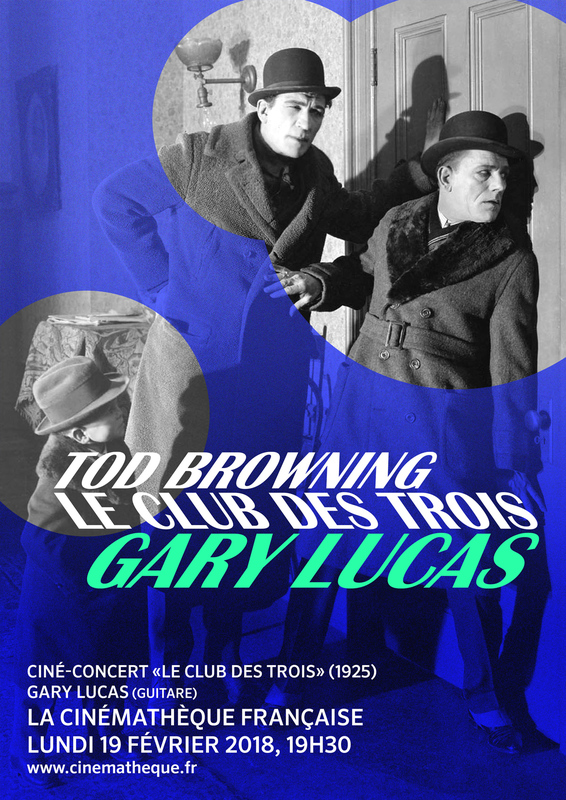 Gary sold-out the 426 seat Henri Langlois Theatre—the main theatre—at La Cinematheque Francaise on 2/19/18 with his live score accompanying Tod Browning's 1925 silent thriller "Le Club Des Trois" (The Unholy Three). 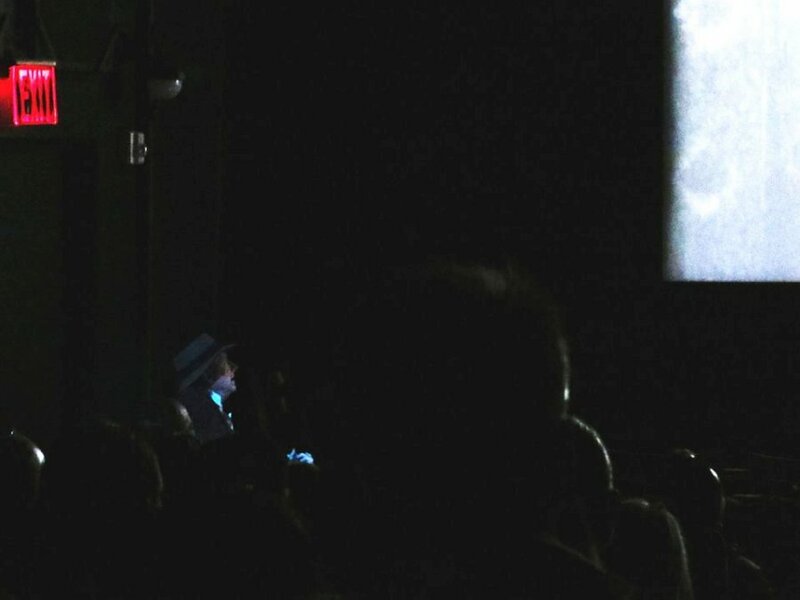 His concert proved so popular that many people were turned away before the show commenced at 7:30pm. 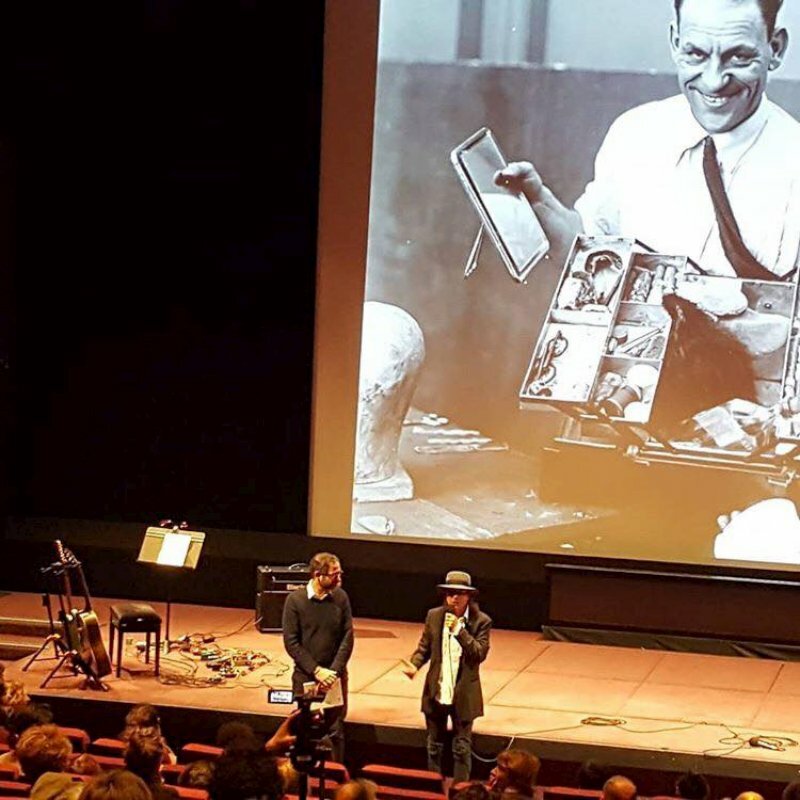 Gary performed without stopping for an hour and half to an audience of all ages, including many families with children. A lively Q&A ensued afterwards. 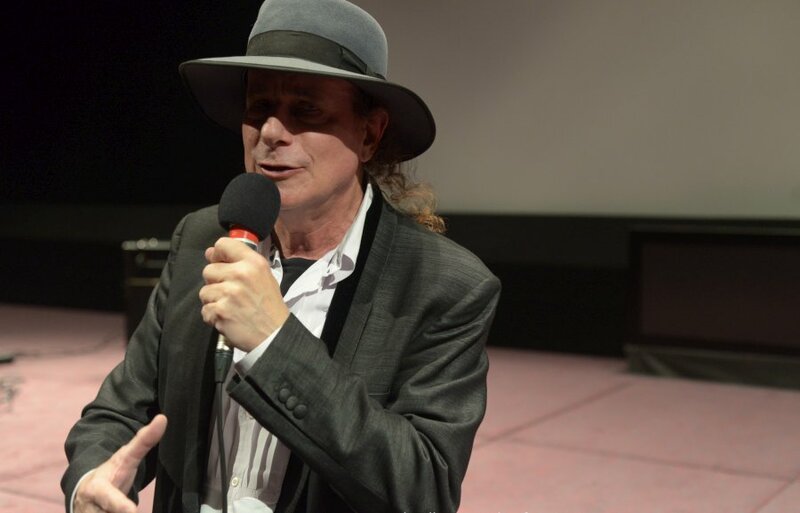 "Gary Lucas' affection for the fantastic cinema of the silent age is well known. 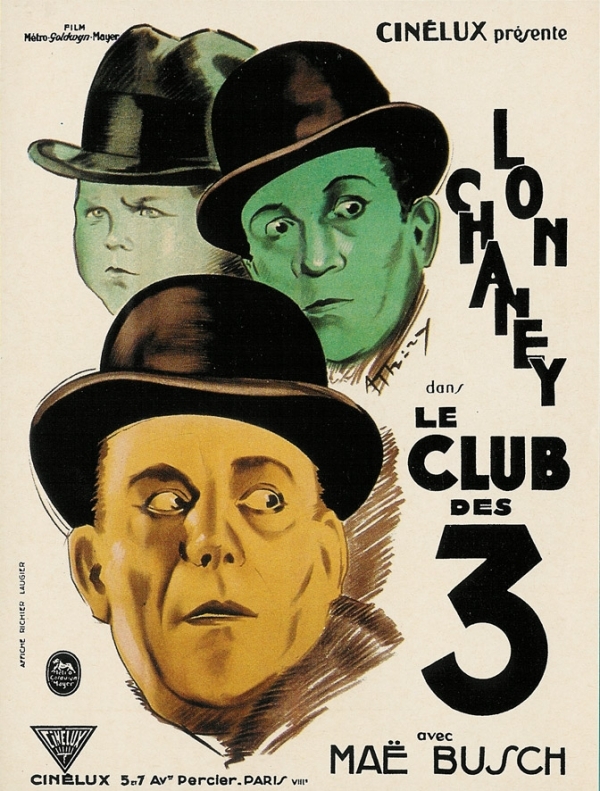 His splendid performance for solo guitar on 'The Unholy Three' at the Cinematheque francaise reflects his deep empathy for the twisted characters and the disorderly, sniggering world summoned on the screen by Tod Browning. Intense and inspiring from the first image to the last, Gary's performance seemed to be seeking to give breath to those bodies from a long-dead past, and to bring them back into motion and life." "Gary Lucas's magnificent score for THE UNHOLY THREE, full of sharp-edged blues and jazz riffs seemingly always on the point of exploding, transforms the Tod Browning classic into a kind of unsettling modern folk tale, a bizarre look at forbidden desire and thwarted ambitions set in a shadowy part of the world." 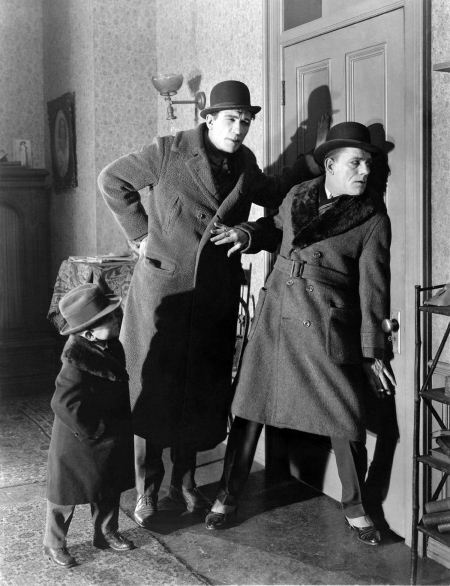 "Gary Lucas's witty and inventive score for Tod Browning’s The Unholy Three provides memorable accompaniment for a film that deserves to be rediscovered by a new generation of film lovers. 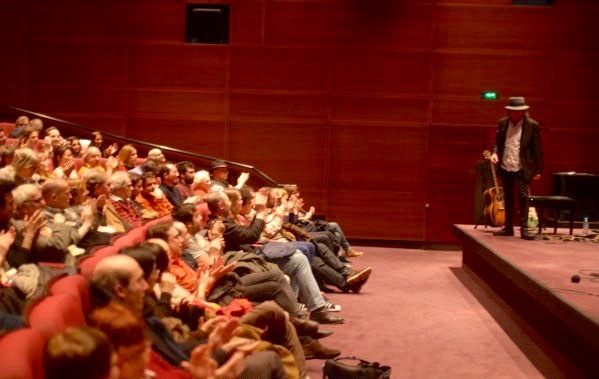 At the premiere, held at Lincoln Center's Walter Reade Theater, the audience was captivated." 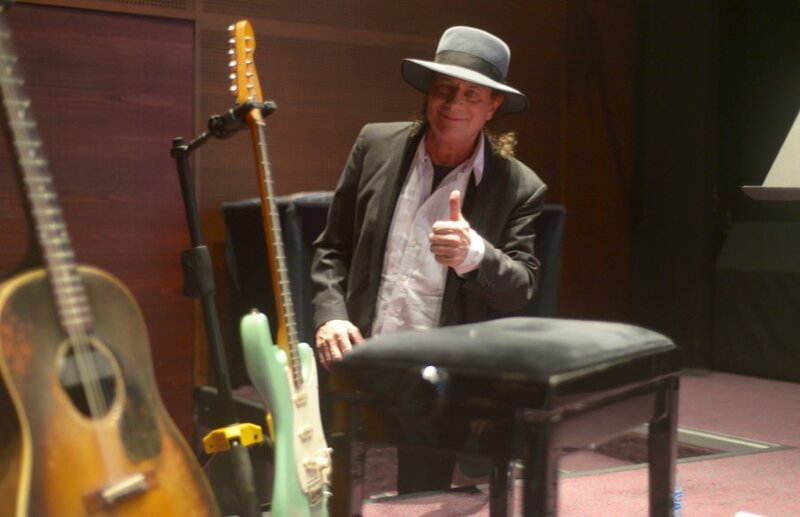 "Gary Lucas was amazing, and his new score had so much sustenance. His guitar hardly missed a frame." 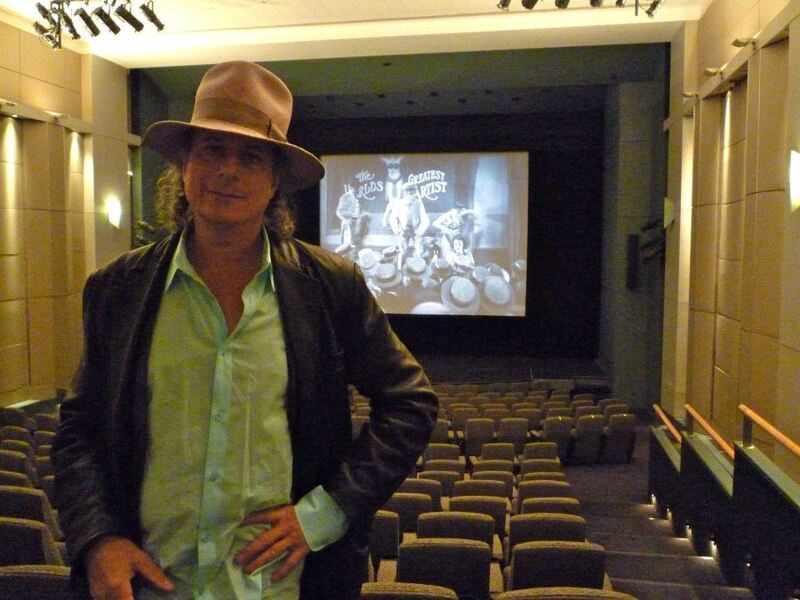 On October 22nd 2009, GARY LUCAS premiered his new live solo guitar score for one of his favorite films, the silent thriller "The Unholy Three" (1925, d. Tod Browning, starring the incomparable Lon Chaney, Victor McLaglen and Harry Earles) at the Walter Reade Theater in NYC's Lincoln Center. 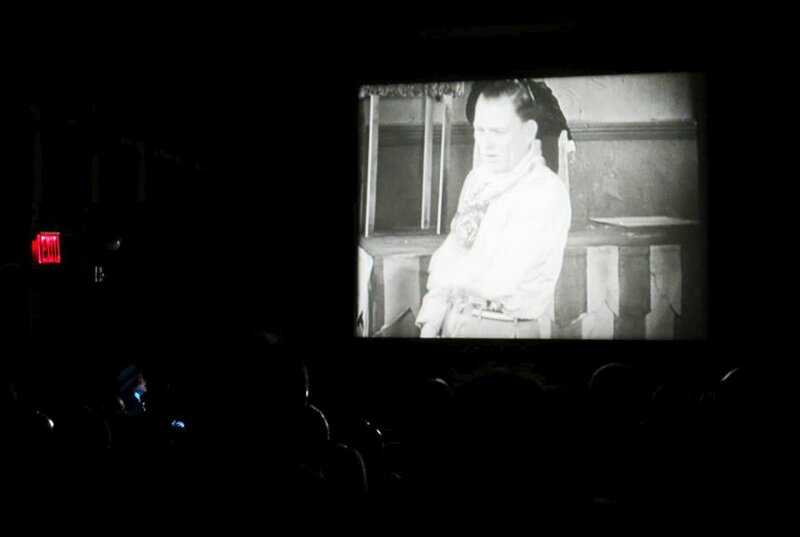 Commissioned by the Film Society of Lincoln Center, who previously commissioned Gary's innovative 2000 silent film/live music project "Sounds of the Surreal", Lucas performed his exciting and inventive new score accompanying a screening of this rarely seen film before a packed house of film buffs and Gary Lucas fans, and received a prolonged ovation at the end, after performing nearly an hour and a half non-stop on both his 1946 Gibson J-45 acoustic and 1926 National steel guitar. 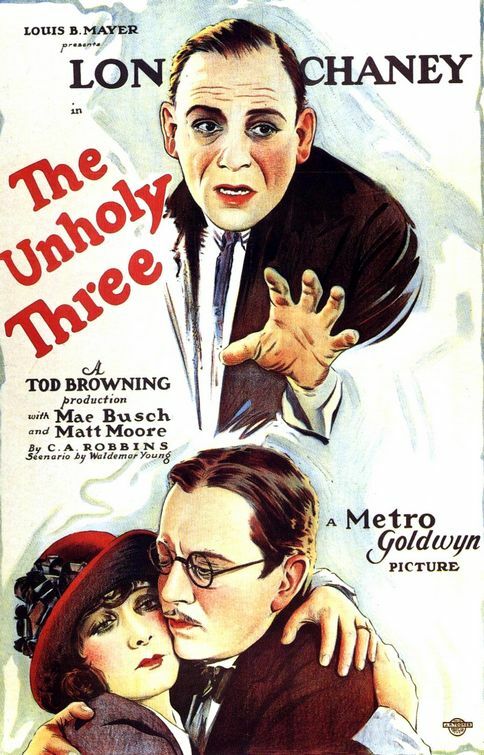 "The Unholy Three" was filmed twice, the second time with sound by director Jack Conway—but it is this 1925 version directed by Tod Browning ("Freaks", Bela Lugosi's "Dracula") that is considered the definitive version. 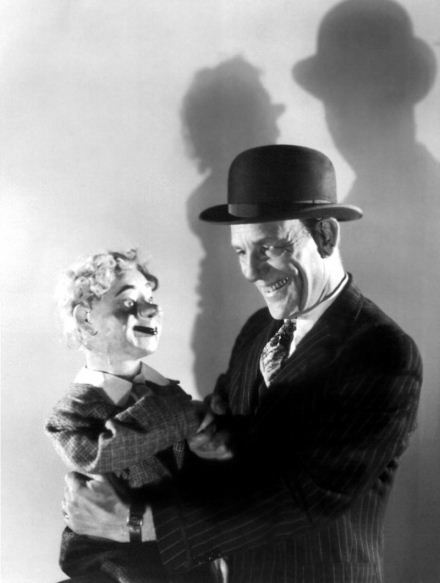 Starring the great Lon Chaney ("Phantom of the Opera"), Victor McLaglen ("The Informer"), and Harry Earles ("Freaks"), the film concerns a band of sideshow performers—Echo the ventriloquist (Lon Chaney), Hercules the strongman (Victor McLaglen), and Tweedle Dee the dwarf (Harry Earles) who form a criminal consortium and embark on a murderous crime spree before being brought to justice. 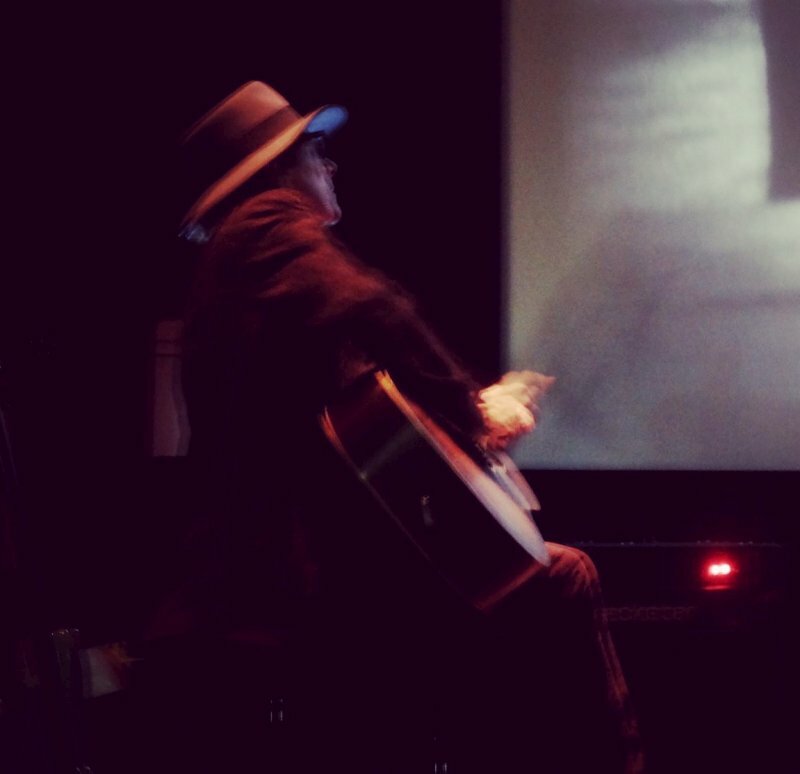 This compelling and rarely screened film, with Gary Lucas' live music providing an indelible and haunting counterpoint, is a must-see! 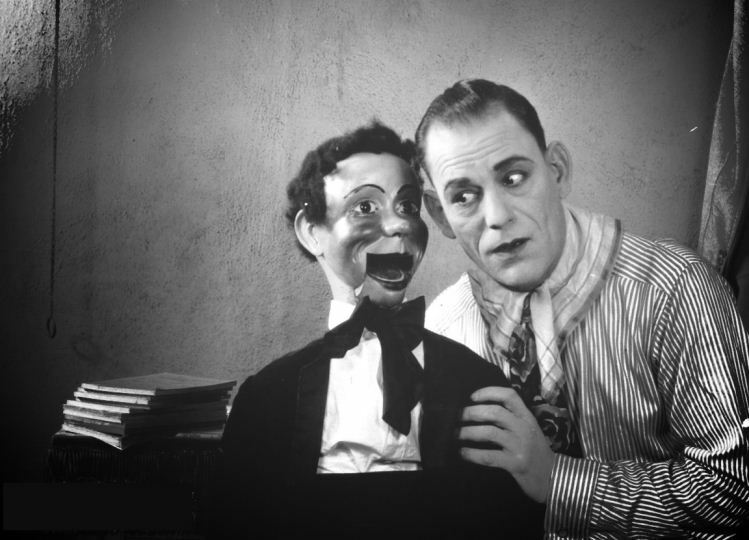 "In this marvelous movie, the unholy three are carnival refugees: ventriloquist Lon Chaney, in granny drag; a moronic strong man; and a malignant dwarf disguised as a baby (the superb Harry Earles, later star of Freaks) who unite to execute jewel thefts. The picture approaches greatness in the mastery with which Browning combines cruelty and laughter."